My name is José Picarra Gomes, founder and owner of Quadro Lijstenmakerij. I was educated in Portugal, where I was born. During my career I have worked with a broad range of materials and techniques. The combination of these materials and techniques, along with creativity, precision, quality and my love of art, form the basis for my company and have resulted in the skilled artisan that I am. As a professional frame-maker, I focus on the conservation and protection of art in the broadest sense of the word. External influences can irreparably damage art. By choosing a professionally made frame, your artwork is optimally protected. 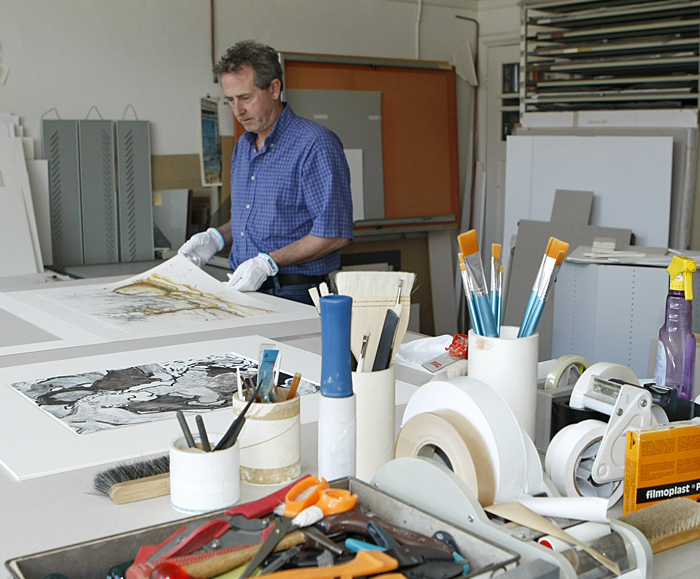 Quadro Lijstenmakerij uses only the best high-quality products to conserve art, varying from acid free cardboard and tape to colourless and ultraviolet filtering glass. I use both traditional and modern techniques in my work. The starting point is that the work of art and the frame are in balance with one another. To achieve this the best materials are chosen. I deliver bespoke pieces and all the work is carried out in my own atelier. Craftsmanship and quality are of paramount importance.